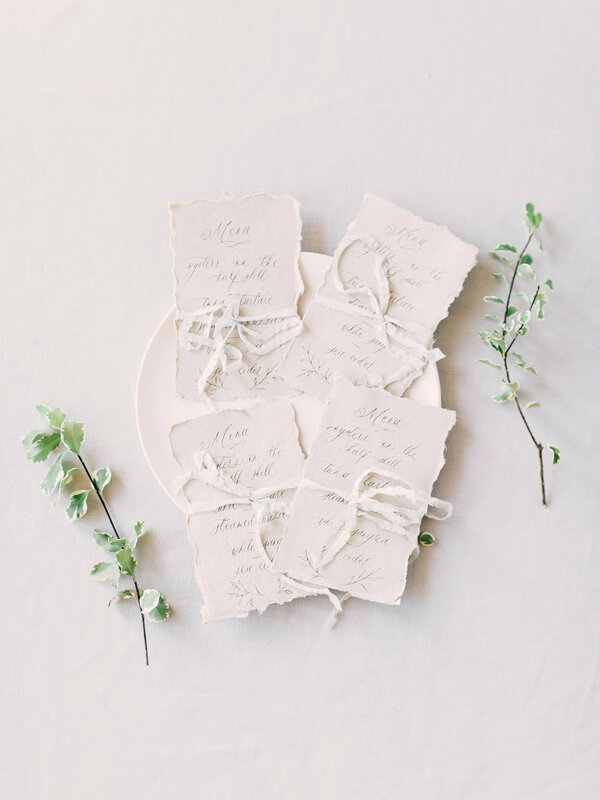 About the Stationery | The custom invitation suite has a romantic and elegant vibe with all the wording in our signature calligraphy style Kaira. Printed on deckled-edged handmade paper , the palette was inspired by neutral beachside tones like dusty blue, sand, soft grey, and a touch of green. 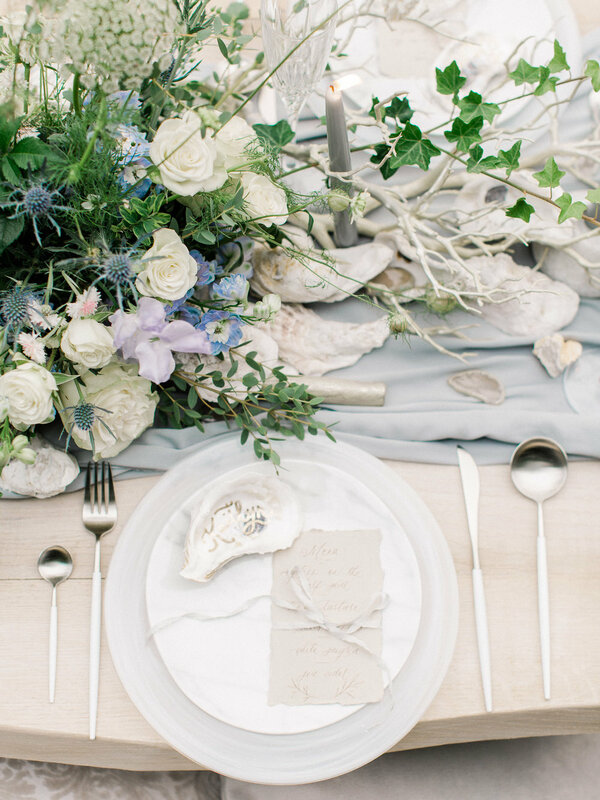 Names in calligraphy were written on oyster shells as place cards for the intimate table setting on the beach.